Who's the Best Japanese Actor? aku rasa keichi matsuyama aktor terbaik karena dia pernah mendapatkan award sebagai "BEST AKTOR IN ZENI GEBA"
You guys missing the best actor in Japan. The actor whose pursue in life is acting is Satoshi Tsumabuki. And he really proves he is a great actor! He's won so many awards and has roleplay so many characters that made him the best not just good-looking man but an ideal person who has become an actor! 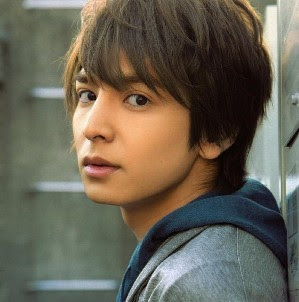 He is one of the japanese top idol, but also great actor i think. Masahiro Motoki is the best actor in Japan. Previously definitely Toshiro Mifune. Nowdays I would say Tadanobu Asano or Takeshi Kaneshiro. Ken Watanabe has to be the best or most recognised actor. He gets my vote. I haven't seen anything with Odagiri Jo, Hami but will look him up and get one of his films.